Manchester, NH — Our taproom is the heart and soul of the Ancient Fire community. It will be where we meet, catch up, enjoy stories and laughter, as well as celebrate over glasses of delicious beverages. With a small pub area this will be a space for groups of family and friends to spend time exploring our beverages, both for the first time as well as frequent visitors. 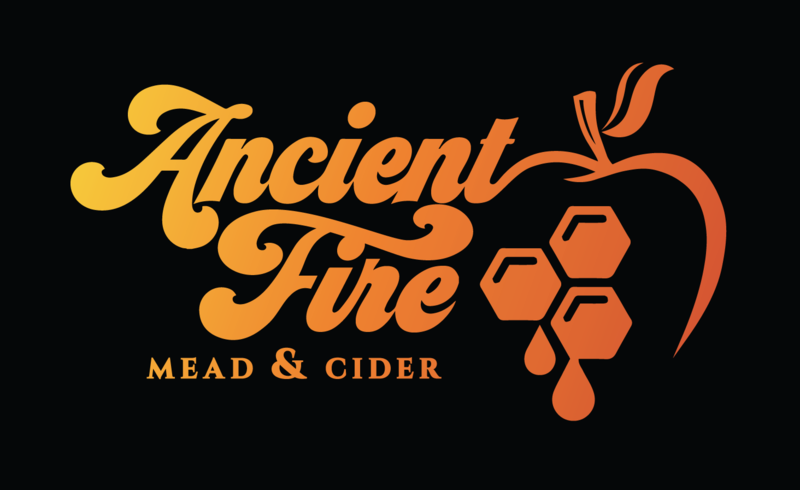 There will be plenty of opportunity to interact with Margot & Jason to learn more about mead, cider, how the Ancient Fire products are made, as well as where you can find other delicious craft beverages elsewhere in the region and the world. A limited food menu is also available which gives you options for something to snack on while you decide which of our beverages you like the most. An educational tour is offered on Saturdays. This 60 minute tour will take you through a bit of mead & cider history, the styles and types of beverages we make, the ingredients used (including a honey tasting), our production process, finishing with a guided sensory tasting of a flight with one of our team. You’ll also go home with a glass and a sticker to celebrate your experience! You will also want to browse our retail area which will offer swag like t-shirts, hats and glassware as well as bottled product to take away. And don’t forget to get your growlers filled at the counter before you go! Learn more about the team and vision behind Ancient Fire at the Our Story page, and keep up with News & Events and Blog Posts also on this site. Go to school in our Education & Resources section!